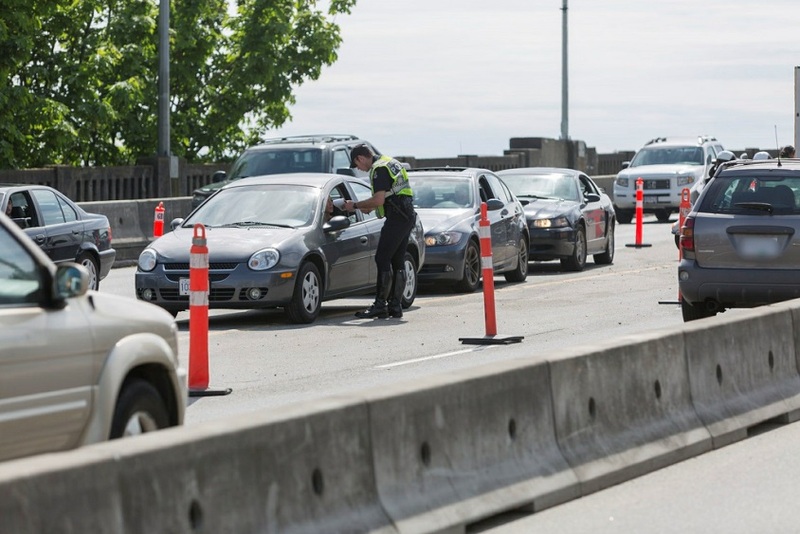 The Vancouver Police Department, RCMP and CVSE helped kick start the Cone Zone roadside worker safety awareness campaign by setting up undercover enforcement operations at work zones around the province last Monday (May 12). The #1 violation in Vancouver? Mobile phones. Of 30 violations caught by police at 500 West Georgia Street and 700 Richards Street, 27 were for distracted driving involving mobile phones. At the Burrard Street Bridge, 44 offences were ticketed, mostly involving mobile phones and speeding. To blend in with the work zones and get a more authentic view of drivers’ behaviours, some officers disguised themselves as road workers. 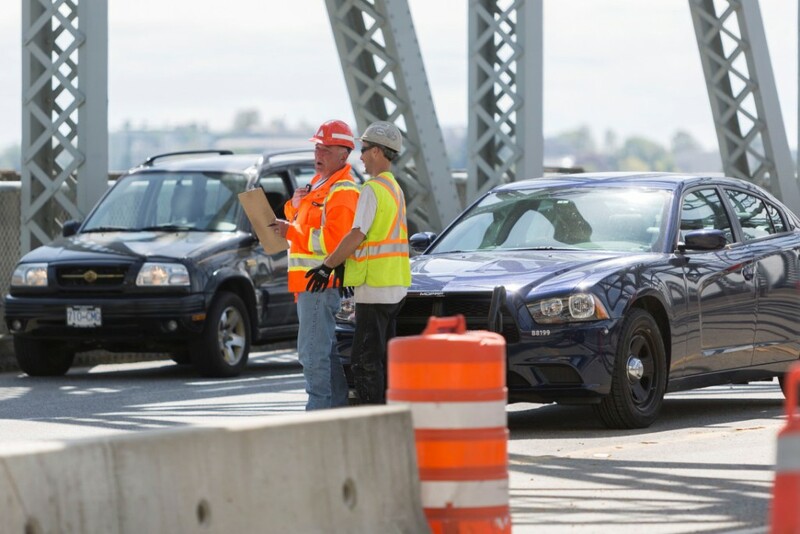 While police focused on the average driver, CVSE monitored commercial truckers at the Burrard Bridge, Coquihalla, Highway 7 and other active construction locations around the province. Between 2004 and 2013, 40 truck drivers were seriously injured in B.C. by passing vehicles while changing tires, putting on tire chains, or doing other vehicle maintenance tasks. There are about 25,000 people working on B.C. roadsides this spring and summer. It’s up to all drivers to respect the Cone Zone. You can be sure that striking a worker will have a bigger impact on your life than a traffic ticket. Take a look at this video to get an idea of what it’s like to work in a Cone Zone, and the wide range of professions that rely on your safe driving. Do you know someone who works next to roads? Could be a paramedic, landscaper, construction worker… the list goes on. Let us know in the comments section below.